A modern adventure about passions, secrets, and exploring one's depths. 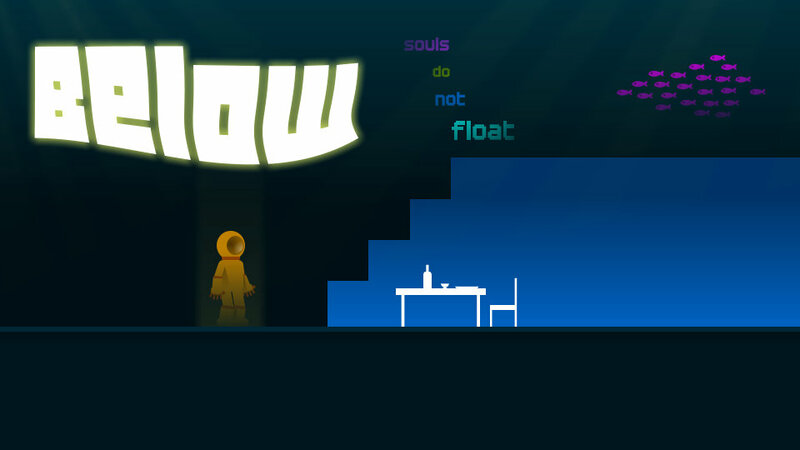 Below is a game about Cain, an amnesiac diver lost in the depths of the sea, in search for a way home, and of whatever that word might mean to him. In 2012, I was working on Journeyballs and thinking I would do a somehow peculiar adventure after that. Instead, I got into other games and left Below aside. I really liked the title, but considering that in the meantime Capybara Games started developing a game with the same name, my personal Below is probably ending in my huge pile of game design concepts.